 Life Fest Film Festival is the film festival dedicated to honoring films that underscore the value and significance of an individual life, even the seemingly insignificant. Based in the heart of the entertainment industry, Life Fest gives a tip of the hat to Director Frank Capra, known for his thematic salute to the significance of the seemingly insignificant individual. This year Life Fest will have its screenings at LA Live Regal Theater Complex, with meetings and workshops in various Hollywood locations. UNTIL FOREVER – When Michael and Michelle’s dreams for the future are threatened by a Lukemia diagnosis, their love & faith is tested to the limits. Based on actual events. VOICELESS – When a young, reserved, war veteran, moves to Philadelphia to start an inner city community outreach, he puts his life on the line in order to fight for life. HUSH – This documentary honestly explores the explosive tension between the two polarized camps of pro-life and pro-choice, while offering a completely fresh & comprehensive look at the subject of women’s reproductive health. LOS ANGELES – Organizers of the Life Fest Film Festival are kicking into high gear in anticipation of the event’s third annual presentation in May. In addition to open registration for the festival’s 5×5 Filmmaker Challenge, viewers across the country and from around the world may now vote for their favorite films from the 2012 festival as part of Life Fest International. The 5×5 for Life Filmmaker Challenge is open to students and independent filmmakers and challenges them to produce a five-minute short reinforcing the profound significance of every human life. While helpful, participants need not be located in Los Angeles – in fact, several entries were received last year from outside the United States. Entries which meet all of the requirements will be screened during the Life Fest Film Festival May 9-12, 2013 in Los Angeles and winning filmmakers will have the opportunity to network with some of Hollywood’s leading insiders, including producers, directors, and distributors. Participants will have a five-day window beginning April 17, 2013, in which to write, shoot, film, and edit a short film (3-5 minutes). At the start of the competition, each team will be given a character, a prop, and a line of dialogue that must appear in the film. All films must be submitted by April 22, 2013. In addition to being screened during the festival, awards will also be presented in several categories. Winning teams will be invited to Los Angeles to take part in festival. More details, including registration information, are now available online at www.lifefilmfest.com/5×5. “The 5×5 for Life competition will give aspiring filmmakers – regardless of where they are in the world – the chance to showcase their talents in front of some of the most established producers, directors, and distributors in Hollywood,” Johnston noted. To reach beyond Los Angeles, Life Fest has created “Life Fest International,” which seeks to bring the films screened at the festival to a global audience. Through Life Fest International, viewers from anywhere are able to screen the films chosen to take place during Life Fest 2012 and vote for their favorites. These winners will be presented with special awards during Life Fest 2013. Films from 2012 include “October Baby,” which captured Best Film honors, and “Doonby,” which took home the festival’s Capra Award, named in honor of legendary filmmaker Frank Capra. Life Fest Director Brian Johnston and Public Relations Director Derrick Jones are available for interviews about Life Fest Film Festival. To arrange an interview, contact Derrick Jones at (323) 393-0674 or email lifefestpress@gmail.com. Photos from Life Fest 2012 are available for media outlets. Photos may be downloaded at: www.flickr.com/photos/lifefilmfest. Photo credit should be given to Life Fest Film Festival. Now in its third year, the Life Fest Film Festival is dedicated to showcasing films that reinforce the intrinsic worth of innocent human life and the profound significance of each life. 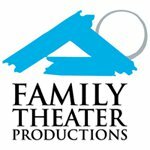 Past participants include actor Joe Estevez, Lamplight Entertainment director Jonathan Flora and his wife, actress Deborah Flora, actor/producer Clint Howard, actor Charlie Holliday, actress Jenn Gotzon, actress Mell Flynn, actor Alfonzo Rachel, and “Dukes of Hazzard” star John Schneider. The Life Fest Film Festival will take place May 9-12, 2013 in Hollywood. For more information about venues, see www.lifefilmfest.com. Life Fest, a charming film festival that is doing something interesting: promoting movies with a strong message of life and the uniqueness of each human. There are no major blockbusters here, no action-packed, CG thrillers. These are mostly independent films, both shorts and features that celebrate humanity and the human condition.